Draft: 2017, San Diego Padres, 7th rd. Nick Phillip Margevicius...is the son of Mark and Marigene...has one sister, Chrissy...as a freshman in 2017 at Rider University, he led the team in strikeouts (79), IP (87.1), wins (six), ERA (2.89) and complete games (two) en route to earning First Team All-MAAC honors as well as an MAAC All-Academic Team accolade...listens to music by Luke Combs...his favorite TV show is Billions and his favorite movie is Bull Durham...roots for the Cleveland Browns and Cavaliers, as well as the Ohio State Buckeyes...his all-time favorite baseball player is Jim Thome...his favorite restaurant in San Diego is Volcano Rabbit...originally signed by Padres' scout John Stewart. Margevicius (pronounced mahr-GAH-vih-chus) split the season between Fort Wayne (A) and Lake Elsinore (A), pitching to a combined 10-8 record with a 3.60 ERA (54 ER, 135.0 IP) and 146 SO against 17 BB across 23 appearances (22 starts)...Made 13 starts to begin the season with FW, posting a 5-5 record with a 3.07 ERA (26 ER, 76.1 IP) and 87 SO against nine BB in 13 appearances (all starts) from 4/5 to 7/1... Earned Midwest League Mid-Season All-Star honors for FW...Assigned to LE on 7/5 where he went on to make 10 appearances (nine starts), posting a 5-3 record with a 4.30 ERA (28 ER, 58.2 IP) with 59 SO against eight BB...Struck out a career-high 11 on 8/14 at Rancho Cucamonga...His 146 SO ranked second in the Padres' system, trailing only Logan Allen's 151...Struck out eight or more in eight of his 23 appearances and issued more than one walk on just three occasions. January 24, 2019 San Diego Padres invited non-roster LHP Nick Margevicius to spring training. 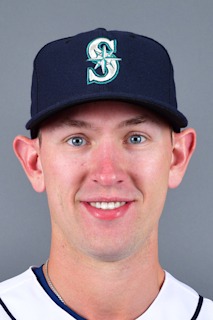 September 5, 2018 Nick Margevicius assigned to San Antonio Missions from Lake Elsinore Storm. July 5, 2018 LHP Nick Margevicius assigned to Lake Elsinore Storm from Fort Wayne TinCaps. April 1, 2018 LHP Nick Margevicius assigned to Fort Wayne TinCaps from Tri-City Dust Devils. July 25, 2017 LHP Nick Margevicius assigned to Tri-City Dust Devils from AZL Padres. June 24, 2017 LHP Nick Margevicius assigned to AZL Padres. June 23, 2017 San Diego Padres signed RHP Nick Margevicius.